To suspend disbelief requires a certain kind of servitude from the viewer when watching a science fiction film. It is safe to say that certain genres nurture certain expectations. Science fiction cinema has always communicated with audiences in radically different terms than most genres. In her seminal essay ‘The Imagination of Disaster’ (1965) Susan Sontag argues ‘science fiction films are one of the purest forms of spectacle; that is we are rarely inside anyone’s feelings. We are merely spectators; we watch.’ The iconography of science fiction films takes precedence over other elements, even ideological ones, and therefore also need to be read differently. 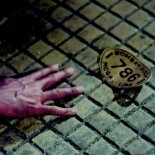 Perhaps science fiction films are judged primarily on a visual competency. 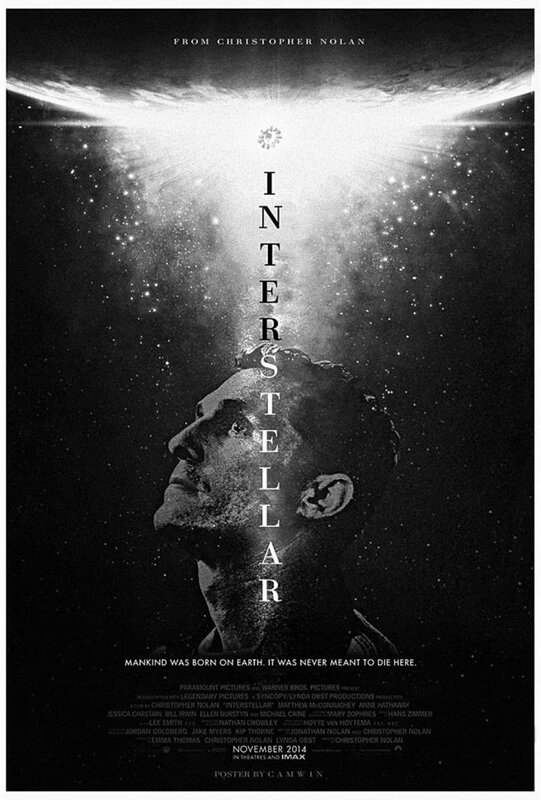 Interstellar is Nolan’s first outright science fiction film. Innovation seems a near impossibility with most film genres these days. It is not surprising Nolan revisits familiar science fiction tropes, invoking the ‘imagination of disaster’ outlined by Susan Sontag with a bravura spectacle of wonder. Spectacle is something science fiction cinema has been able to sustain over the years, conjuring new ways of presenting time travel, space exploration and alien encounters. What makes Nolan’s authorial approach to the genre markedly distinct is the way he succeeds in blending the spectacle with the family melodrama, giving the film’s narrative an emotional resonance. You may question if such an emotional sweep is required given the job of science fiction cinema is simply to provoke a continuous reaction of awe and wonder, which Interstellar also manages to convey. In fact, many of the influential science fiction films like Metropolis, Blade Runner and 2001: A Space Odyssey are classics of the genre for the worlds they construct rather than the narrative or emotional offerings. There is no doubt Nolan understands such contradictions presented by the genre. Although Nolan forged a career on mid budget indie films such as Following and Memento, his switch to mainstream blockbusters signalled a new phase. The Batman films infused the comic book film genre with noirish tendencies refracted through the prism of contemporary social and political anxieties. Films like The Prestige, Inception and now Interstellar have continually staked a claim that Nolan’s auteur sensibilities are both broad and incisive. Nolan’s involvement with the Batman franchise certainly testifies to the tricky route filmmakers working in the mainstream have to navigate in order for them to pursue their own preoccupations. Arguably, the Batman films seemed to get worse with each instalment. Batman Begins feels like the purer film out of the trilogy, not because it came first, but for its enthralling origins story and a classical feel which Nolan was unable to repeat in both sequels, diluting narrative storytelling for an overly ambitious structure. The first hour of The Dark Knight feels like a real mess in terms of narrative cross cutting but makes up for such folly in the refreshingly downbeat ending whereas The Dark Knight Rises intermittently succeeds in manifesting ideological anxieties, something not often associated with the comic book film. Interstellar is certainly Nolan’s most ambitious work and this time ambition is sustained by the emotional dimensions of the central father-daughter dynamic. Sontag’s claim that ‘we are rarely inside anyone’s feelings’ goes unfounded in Interstellar since ‘sensuous elaboration’ often manifested by science fiction cinema is juxtaposed to the constant roller-coaster of emotions experienced by Cooper (MM) so that we never completely leave his head. Nolan doesn’t feel ashamed either of reverting to melodramatic sentiment as a means of giving the film a much needed emotional dimension that sometimes goes amiss in big budget science fiction films. Gravity just about manages to do this but it still comes across as an experiment in form. Such melodramatic staging is handled intimately when Cooper plays back all the video messages after returning to the space station after so many years. The ghostly one way interaction is all about us today as YouTube consumers and the way technology has become a conduit for emotional exchange that stretches beyond the very idioms of life itself. The proliferation of technology has meant less and less human interaction but in this very moment one comes to realise that here is Nolan deploying old technology (shooting on film) to relay ideas about new technology. I find the comparisons to 2001 somewhat misplaced (okay, you can have the acidic stargate sequence) since any big budget science fiction film is likely to draw parallels with 2001 or Blade Runner; that’s one of the inevitabilities of making a genre film since positioning a work is crucial in terms of fixing meaning and in a way restricting alternate readings that occur beyond such filmic references. In fact, if one was to compare Interstellar to another science fiction film, it would in my opinion have to be Solaris as it shares more thematic overtures concerning ghostly metaphysics than say 2001 which becomes altogether more operatic. Nonetheless, Interstellar’s intellectual pursuits are hobbled by an ending that wants to solve the puzzle which Nolan has been teasing for the majority of the film. 2001 or Solaris are compellingly brilliant simply because they are films that cannot be explained in a fixed, dominant reading. This in large part comes from the cryptic endings, stuffed full of enigmatic star gazing fervour. Sadly enough Nolan feels compelled to suture the style of haphazard cross cutting editing that plagued the fortuitous ending of The Dark Knight Rises on to Interstellar, glibly decrying hope as something elemental to the human condition. It’s strange that no one has really mentioned Steven Spielberg when discussing Interstellar or Christopher Nolan. Oddly enough the serviceable J J Abrams has often been compared to Spielberg and one can see why the comparison has been made given the respective interests in science fiction. However, the awe, wonder and magic Spielberg has been able to conjure up so spectacularly over his career is something that is difficult to imitate without compromising narrative storytelling. Nolan comes close to capturing the spectacle of wonder that science fiction cinema can offer filmmakers; a feat evident in Inception. In his prime Spielberg would have been all over Interstellar but interestingly another visual parallel emerges as Nolan’s obsessive focus on the human face, something that has characterised much of Spielberg’s work, is used with a reverence magnifying yet again the melodrama so that it registers with an indescribable sentiment. Aside from the apocalyptic imagery, etc. this film is really about what other great science fiction films have tried to deal with the in the past; death, an endless thematic preoccupation that transgresses genre and culture. By doing so Interstellar becomes a means of ‘accommodating to and negating the perennial human anxiety about death’ (Sontag) through the prism of the family melodrama. It is death which forms the everlasting question that haunts Nolan’s Interstellar, articulated doubly by the church organ of Hans Zimmer’s evocative score that reappears on the soundtrack, recalling the work of Glass on Koyaanisqtsi. But it’s not just death. This is a science fact film that reaches out to frame contemporary anxieties such as sustainability, the environment, space exploration and faith in a gripping spectacle littered with some fine set pieces indeed. This entry was posted on December 4, 2014 by Omar Ahmed in Science Fiction.